Throw on your flip flops and your Jimmy Buffet best, grab the entire family and get ready for a weekend of great live music and the area’s freshest seafood from the restaurants that locals love! The 2016 River Street Seafood Fest will take place May 6-7. 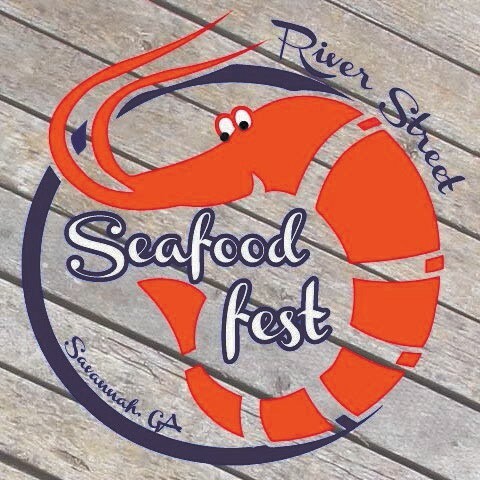 “The focus of this year’s food festivals is to get locals down on the River,” said Emily Dickinson, Board President of the Savannah Waterfront Association and Vice President of Wet Willie’s Management Corp. “So bring your friends and family and join us down on the River for Seafood Fest, as locals and visitors alike experience the best tastes in town as they enjoy live music and a ton of fun,” added Dickinson. Live music will take place throughout the weekend on the Rousakis Plaza Arbor Stage featuring: Parrot Party, Kelvin Armstrong, Mollee Craven Steel Drums, Keith and Ross, City Hotel, Damon & The Shotkickers, and the Derrick Dorsey Band. Week- end festivities kick off on Friday, May 6 from 4-10pm with First Friday Fireworks presented by Wet Willie’s at 9:30pm. Festival hours continue on Saturday, May 7 from 10am-10pm. River Street Seafood Fest will highlight coastal inspired art from regional artisans that will be displayed along Rousakis Plaza. The River Street Seafood Festival is hosted by the Savannah Waterfront Association and proudly sponsored by Bud Light, Budweiser, Savannah Coca Cola, Yancey Power Systems, Yancey Rents, Capital A Productions, Wet Willie’s, WSAV, Creative Approach, and Alpha Media. For a detailed schedule of entertainment and more information visit riverstreetsavannah.com.